It might seem like we live in a misogynistic, male-centric world most days, but I think this is an exciting time to be a female on planet earth. Ladies, we’re making headway here! When the Weinstein’s of the world get called to account on their behavior (Yes, of course, #MeToo!) -- I have to look past my own personal disgust and glimpse the flicker of hope on the horizon that someday women will truly stand as respected equals with men. It’s through this lens of hope that I proudly present my first YA romance (out 11/6) from Entangled – The First Kiss Hypothesis. It’s a story told through the eyes of a girl who loves science, is prepared to dedicate her life to it – and also happens to be in love with the boy next door. Nora Reid wants to go to college to become a medical researcher. She’s spent her high school years washing out beakers, competing in the Science Olympiad and studying conservation. 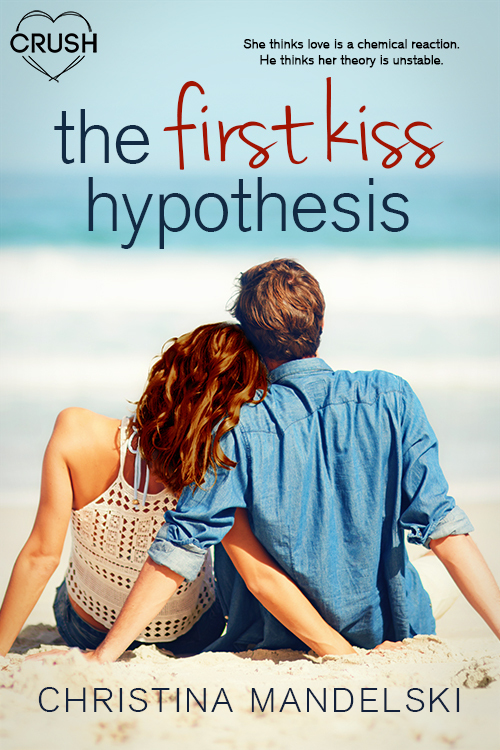 She’s also developed a somewhat sketchy hypothesis for finding true love – she’s making her way through the student body in search of a chemically and electrically charged first kiss. She’s a scientist – and a romantic – and she’s found a unique way to mix the two. She’s a STEM girl, and much more. I have to confess, I was not at all interested or good at STEM subjects during my high school years. I was identified very early as bad at math (hooray for educators who now see the harm of pigeonholing young girls as such). 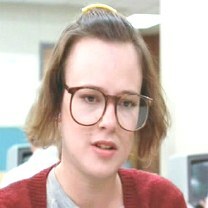 This is Judy from Revenge of the Nerds, circa 1984. She didn’t know how to do her hair, played the accordion (! ), and even though she is in the same Information Technology class as her boyfriend, she is easily frustrated by computers and relies on him for help. Ridiculous, right? Lori wasn’t like Judy. She had awesome 80s hair and academically was just as or more capable than any of the guys we went to school with. When Lori graduated from Notre Dame with a degree in Electrical Engineering in the early 90s, she was one of eight women to do so in her major. But pursuing her passion for STEM subjects certainly wasn’t all there was to Lori – it wasn’t the biggest part of who she was. She had a huge heart, a fun-loving personality, a talent for music, a lead foot, a knack for handling the drive-thru at the McDonald’s where she worked, and among many other things --she had a romantic side. As one of her best friends who knew all of her secret crushes (and vice versa) -- I can attest to this! Long story short, she was and is one of the most well-rounded and smart people I know. She didn’t need a boy to help her learn physics and she didn’t need a makeover to make her life complete. How sad that she didn’t see herself accurately represented often in books, TV and the movies. But like I said, times are changing! Stereotypes are still being perpetuated, yes, but more and more female characters are being introduced in books, TV and movies who happen to be either on the road to a STEM career or in one. These characters are more than just their career choice. They know how to do their hair! They don’t wear pocket protectors or headgear. They want to fall in love. Just like everyone else. I’m proud to have written a character who is slightly neurotic, has family issues, a fear of driving, loves animals and pie and wants to fall in love – in addition to being passionate about science. She doesn’t need to change her hair or learn how to put on makeup. She’s good just the way she is. I hope that ALL readers, whether they can recite the Pythagorean Theorem or not (and yes, I can, fyi), find something relatable in the character of Nora Reid. And in honor of my dear friend from high school, I hope that all the Lori’s out there who love and excel in STEM areas, see a bit of themselves in The First Kiss Hypothesis. Immediately, my brain short circuits and I forget what I’m doing. Eli. Neighbor, best friend, part-time chauffeur. That hair, dark and wavy, sticking out in ways that invite you to run your fingers through it. The olive skin like a real life Greek god, and eyes that look just like the blue oval in the watercolor sets Mom used to buy me when I was little. He’s tall, and a lacrosse maniac with an upper body to prove it. Your basic unrealistically attractive high school student usually only found in books or movies. The difference is, he’s real, and everyone wants him. Including me. It’s a battle I fight daily. I followed him into the garage, where he’d gone to get a Coke from the extra fridge. With total confidence, I kissed him, hard, on those full lips, right there in the glow of the refrigerator light. Christina Mandelski loves to bring the characters in her head to life on the page. When she isn’t writing, she spends time with her family, working as a substitute teacher, eating (sweets, usually), traveling and reading (preferably under an umbrella at the beach). Chris lives with her husband and two daughters in Houston. You can visit her at www.christinamandelski.com.